Matt Jones is back at it again. 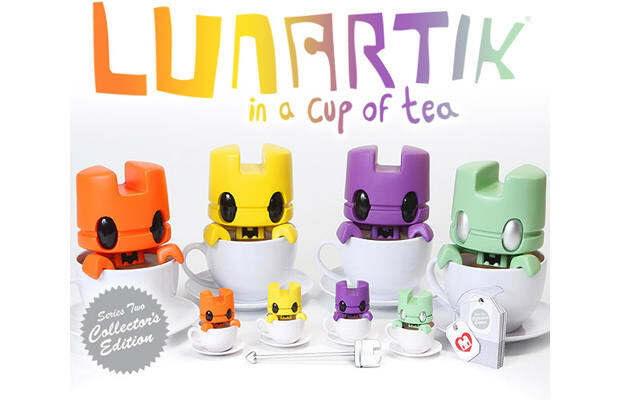 His "Lunartik" series of tea inspired toys is now available in a second full size series, and in several flavors. Pick orange. Or, go for mint. There&apos;s also lemon and berry options.